The highest standard in rowboat plans, complete with illustrated step-by-step instruction manuals. Most rowboat plans are shown on 24" x 36" paper; parts that fit within those dimensions are shown full size. Other components are scaled and dimensioned. 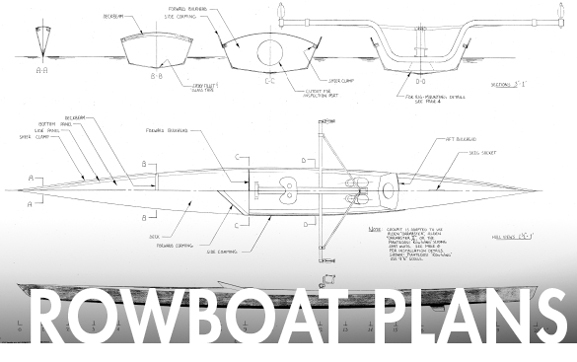 Our newest rowboat plans are rendered with all parts shown full-size on long scrolls of paper.